Over seven seasons of “Shark Tank” and six seasons of its Canadian predecessor “Dragon’s Den,” Robert Herjavec has seen hundreds of pitches from entrepreneurs looking for funding. By this point, he can determine whether he can trust an entrepreneur with his money within the first few minutes of a pitch. The investor and cybersecurity CEO recently chatted with The Ranker Podcast host Daniel Kohn about his new book, “You Don’t Have to be a Shark,” and explained what he considers to be the top mistakes entrepreneurs make in a pitch. Here are the red flags that Herjavec looks for from his chair in the Tank. His insights are just as relevant outside of the show, whether you’re looking to make a deal with a client or trying to get hired. 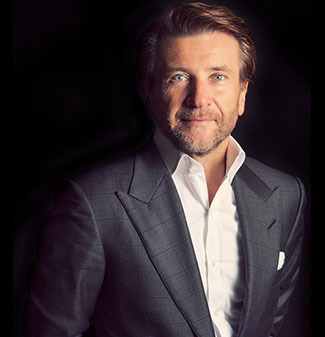 When Herjavec was a college student, he had a part-time job as a salesman in a high-end menswear store, he writes in his book. He learned that the best salesmen would pinpoint which shoppers were going to spend the most money and then spend most of their time with them. It was an imperfect science, but a reliable indicator was how the potential customer dressed: If he already had nice clothes, he could afford to buy more. 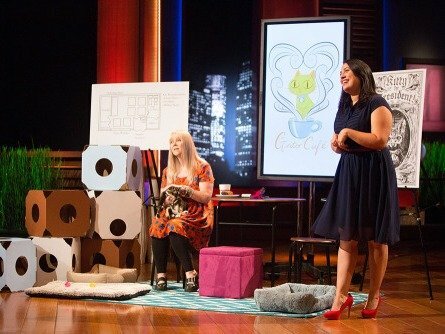 The same dynamic takes place in a pitch room, whether on “Shark Tank” or in a Silicon Valley office, Herjavec said on The Ranker Podcast. Whether you like it or not, the clothing you wear instantly communicates signals to other people’s subconscious. 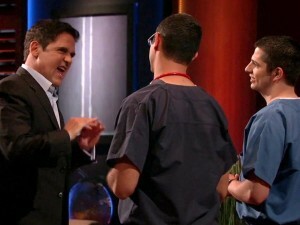 For example, Herjavec said, he likes to pester his fellow Shark Mark Cuban, a big fan of T-shirts and jeans regardless of the occasion, by telling him that he intentionally dresses like “a slob” to show that he’s already an influential billionaire and doesn’t need to impress anyone at this point. As for entrepreneurs that step into the Tank, Herjavec is looking for their clothes to look intentional, and to complement their companies. Not all entrepreneurs have to show up in formal wear for him to take them seriously, but if they step in wearing shorts and flip flops, they better be in the surfing industry. They have poor body language. A long time ago, a venture capitalist friend of Herjavec’s told him that it takes an average of 45 seconds for an entrepreneur to walk into a room, greet everyone, sit down, and get comfortable. And by the end of that 45 seconds, the friend said, he already had a hunch about whether he was interested by the way the entrepreneur carried him- or herself. For a “Shark Tank” segment, an entrepreneur walks down a hallway to an “X” on the floor, where they stand silently for 30 seconds as the camera crew collects the establishing shots they need. As soon as the entrepreneurs take their first steps into the room, Herjavec assesses how they walk and how they stand, he said on the podcast. If you’re looking to impress Herjavec, walk quickly and assuredly. “It’s pretty rare that busy, confident people walk slowly,” he said. As for posture, he doesn’t care if there are multiple entrepreneurs presenting together and the head of tech development, for example, is slightly hunched over and withdrawn. But if the head of marketing or the CEO is anything but standing up straight and opening themselves up with confidence, he’s concerned. They don’t know enough about their company or industry. Herjavec noted that viewers probably notice that sometimes the Sharks tear apart an entrepreneur whose pitch isn’t going well and other times they let things slide. You can listen to the full podcast episode on iTunes or The Ranker Podcast’s website.